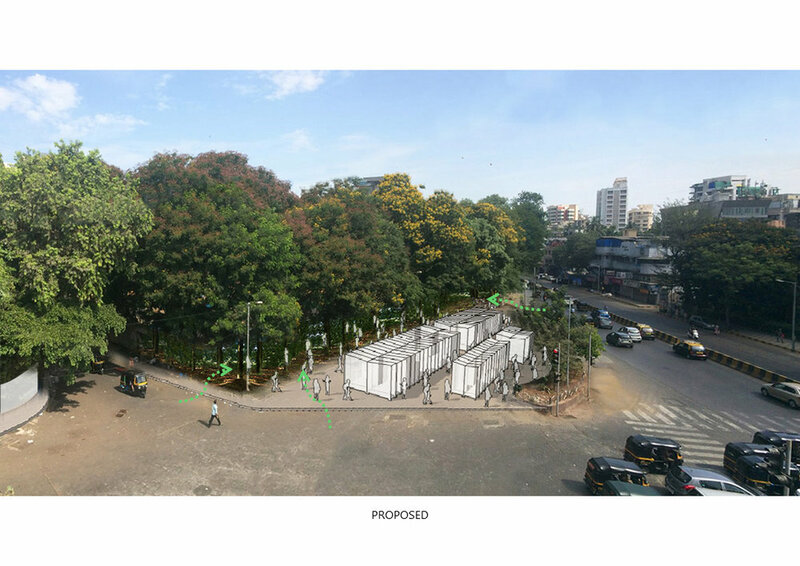 The Linking Road Park Project aims to bring into plain public view and access to Patwardhan Park, a beautiful 3.6 acre park that currently fronts Linking Road, but is walled off both physically and visually by a row of street shops, mainly shoe shops. The footpath is occupied by these shops and traffic comes to a standstill due to the overflow of shoppers and the absence of a usable footpath. The current extension of Waterfield Road is present on plan but is not motor-able due to illegal parking, temporary shops and the high pedestrian volume. 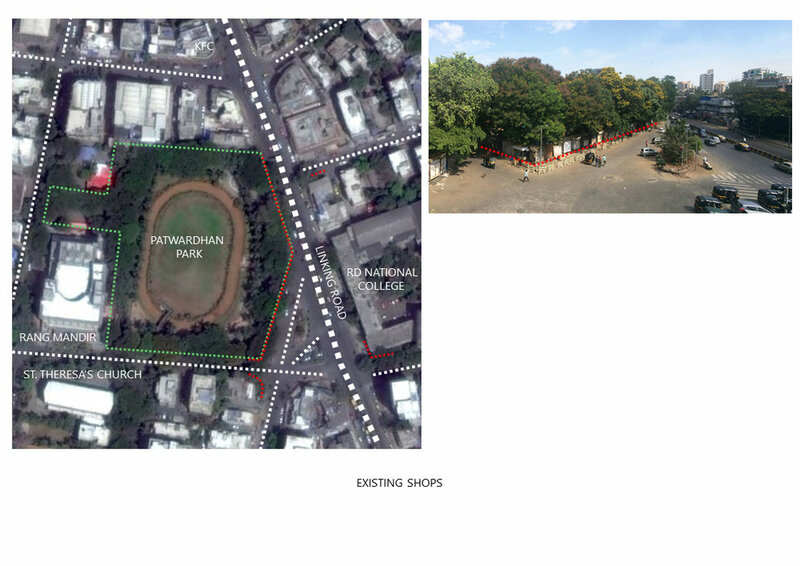 The proposal aims to convert this road into a 0.2 acres open pedestrian plaza that would appear to be a part of a larger Patwardhan Park. 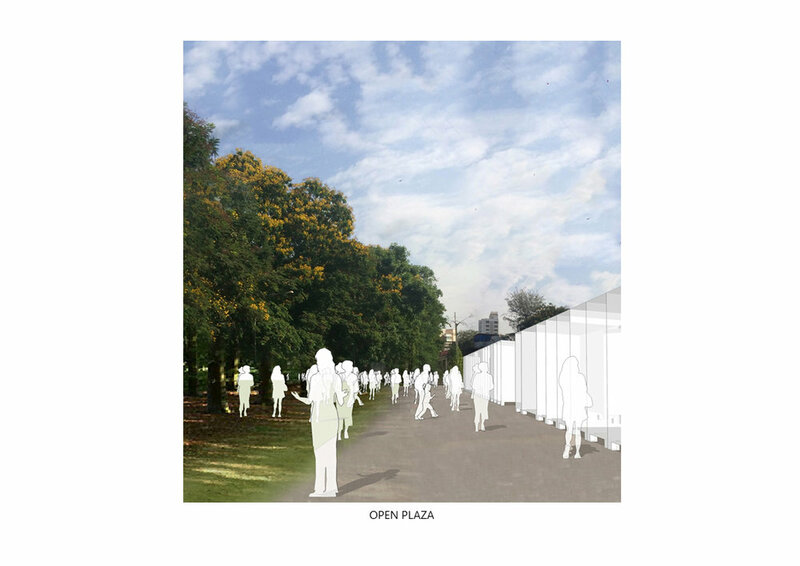 This is a low cost minimal intervention proposal that calls for the relocation of the 70 shops from the perimeter of the park, 17 from the opposite side and 9 from the perimeter of National College to this plaza. 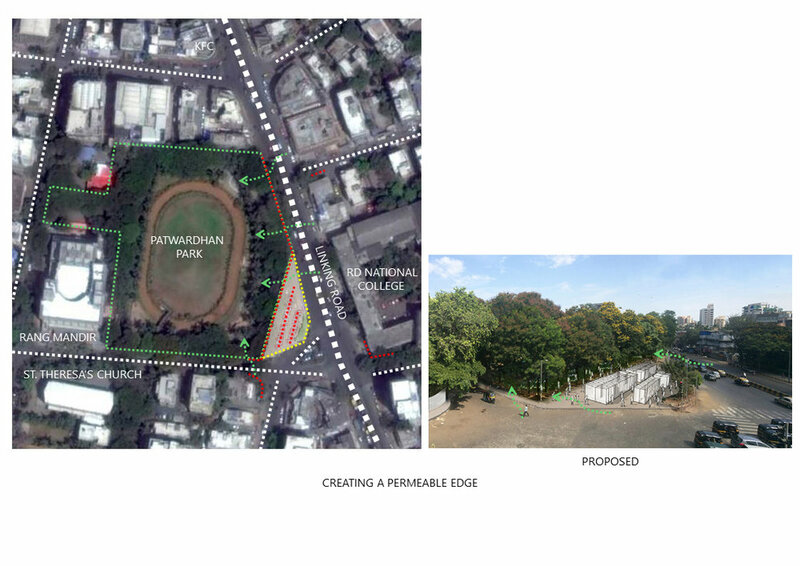 This allows for the entire park to open visually and physically from Linking Road and Road No. 32. There is no change in the program; the bus stop and traffic island remain unchanged, the numbesr of shops are retained due to their legal status, only the Waterfield Road extension is pedestrianised to contain the shoppers. This would transform the chaos on the road to an orderly pedestrian plaza. The proposal benefits not just the residents of the neighbourhood but also the millions who throng the street shops, the general motorists, the pedestrians and the students of colleges on Linking Road. Everyone would now have direct access to this beautiful park.